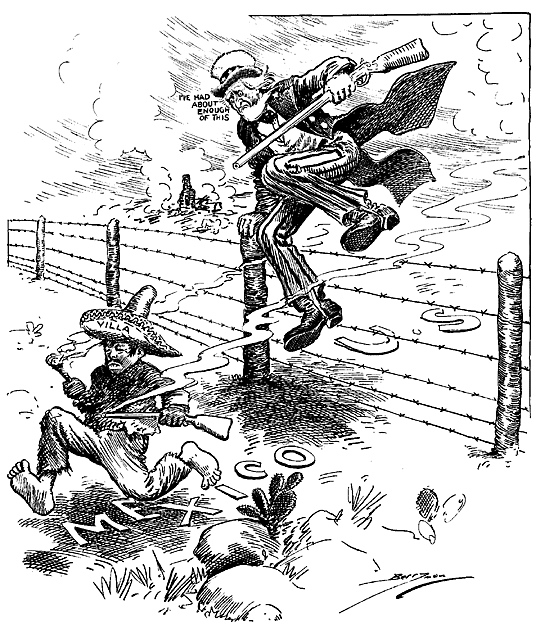 While the Battle of Verdun continues to grind on in Europe, American newspapers this month would be more focused on the nearby Mexican Revolution, which once again spills across the border and brings US intervention. The Century News this month focuses on these events and also some beginnings that will impact the future. World War One: On March 24, the Channel ferry S.S. Sussex is torpedoed by a German submarine, with a loss of fifty lives. The US protests in strong terms, with President Woodrow Wilson threatening to end diplomatic relations with Germany. Although no Americans were lost in this attack, the US public is still highly inflamed from the previous year’s Lusitania sinking. The Kaiser comes to fear possible US intervention in the war, and in May will issue the “Sussex Pledge,” which dials back “Unrestricted Submarine Warfare” to placate American public opinion. 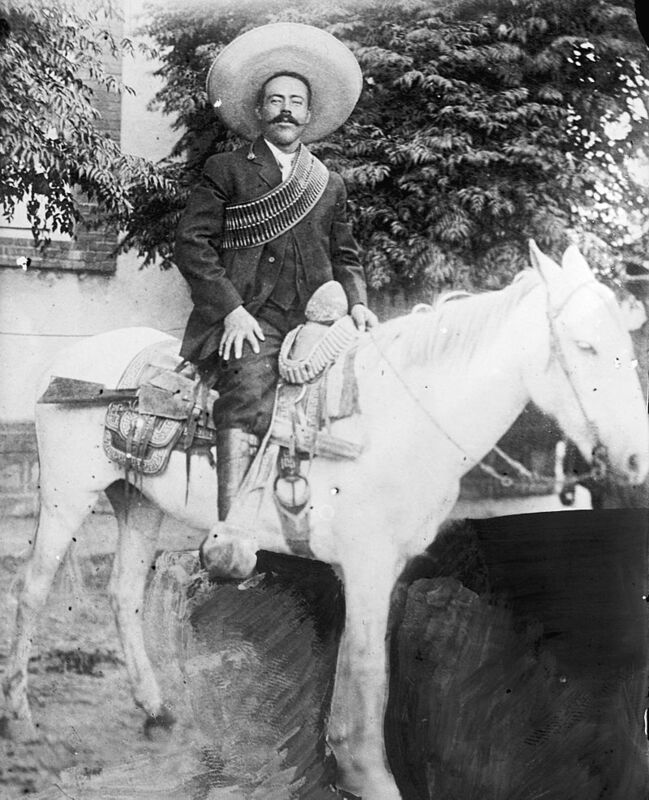 The Battle of Columbus (New Mexico) occurs on March 8-9, as revolutionary leader Pancho Villa leads a raiding force of about 500 men across the border, probably to secure food and supplies for his troops. He encounters a much stronger force than anticipated, and despite initial success due to surprise, his forces are beaten back. An estimated 90 Mexican soldiers are killed or wounded, to 8 US soldiers and 10 civilians. Pancho Villa Expedition: In response to the above attacks, and to rumors of atrocities by Villa’s men against American citizens in the press, on March 14 President Woodrow Wilson orders a force of 12,000 men, later joined by additional forces under the command of General John J. Pershing, to pursue and capture Pancho Villa. Although the pursuit undeniably inconveniences the revolutionary cause, Villa is able to evade pursuit and continue his activities. Politics: Yuan Shikai, who had claimed the throne of China in November, abdicates on March 22 and the ever-fragile Republic of China is restored. Industry: The Bayerischen Motoren Werke (BMW) is founded on March 7 in Germany. Society: J.R.R. Tolkien marries Edith Bratt on March 22. Births: Actress Mercedes McCambridge (later in “Touch of Evil” and “All the King’s Men”), March 17; actor Sterling Hayden (who appeared in “The Killing” and “Dr. Strangelove,” both by Stanley Kubrick), March 26. I enjoy the historical context you’re providing—I know the general outlines of U.S. history in the ’20s and after that, but the teens feel more mysterious, probably just because I only know the biggest events. Anyway, thanks, Michael! Thank you, too! I”m glad to know someone gets something out of this.